> Articles> Do I have to Buy the Best Quality Coins to Make Money? Buy quality! Buy quality! Buy quality! That’s all you hear these days when you are considering rare coins as an investment. First, are you really buying coins as an investment, or merely for the pleasure of owning a piece of history? That is sometimes the real dilemma for many collectors, or is it investors? 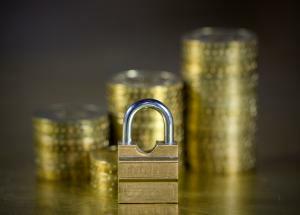 Everybody wants to make sure that their investment is protected, but there are no guarantees, especially in rare coins. In fact, some rare coins take years to appreciate to the point of being able to sell it profitably. Hey, I would love to be able to plunk down $100,000 for a 1919-s Standing Liberty Quarter in MS67 condition certified by PCGS. There is only one coin with this date certified by PCGS as of February 7th so it is the finest available. But not many of us have that luxury. I don’t, and I suspect you do not either. It’s hard to comprehend paying more for a single coin than my first house cost. And while the rarest and finest of all rare coins have reached stratospheric prices, what does this leave the rest of us? Not much, unless you are willing to do a little work. So if my interest is in rare coins as an investment, what do I do? Well, there are many other coins and options you can choose. First, let’s review what drives the price of a coin. Demand - Demand perhaps is the biggest driver of price. A clear example of this is the 1909 S VDB with a mintage of 484,000 and an estimated retail value of $720.00 in G4 and $7,500 in MS65 vs. an 1879 Shield Nickel. The Shield Nickel had a mintage of only 29,100 yet the estimated retail value of a G4 is only $415 while the MS65 example is $1,950. To further illustrate this point, PCGS has certified 703 MS65 Red 1909 S VDB cents and only 27 MS65 Shield Nickels. How many Shield Nickel collectors do you know vs. Lincoln Cent collectors? Scarcity - Generally speaking, putting demand aside, the more scare/rare a coin, the higher its value. This is usually very true, especially when comparing dates within the same series. Scarcity should not be confused with overall mintage. During the silver booms, many, many silver coins were melted for there bullion content. Additionally, some coins with higher mintages can be quite rare in certain grades such as higher MS condition coins due to weak strikes, etc. Condition - This is the most obvious one. When comparing the same coin, the better the grade, the higher its value. Ok then, considering all these factors, how do I find nice coins that I can afford that will not only appreciate in value, but appreciate at a higher rate than other coins? I think the key word here is “nice”. Coins other than Mint State coins can appreciate in value if you know what to look for. Look at the 4 driving factors of price again. They are demand and scarcity. Take a good look at the following chart. The chart shows a good comparison of some different coins. Some you might consider a good investment and some you may not. The main comparison I am trying to make is from 2005 to 2006. I had an old issue of Coins Magazine from November 1973 so I thought I would throw those values in as well. First, let’s look at the 1877 Indian Head Cent, the key of the series. In a one year period of time, the value of the coin rose 18-19% depending on condition. The 1909 S, the coin with the lowest mintage of the whole series rose only 2-3%. Take a look at the mintages. The 1877 had over 2.5 times the coins produced than the 1909 S yet is valued much higher. Part of this is demand and there are probably less 1877 dated cents to go around. Next, take a close look at the 3 Lincoln Cents in G4. While the 1909 S and 1931 S are considered keys just as the 1909 S VDB is, it is the 1909 S VDB that has risen in price while the 1909 S did not budge and the 1931 S moved ever so slightly. It is interesting to note though that in XF condition the 1909 S VDB stayed the same. So, what does this all prove? To me, it proves that picking coins solely for investment is as tricky as playing the stock market. You just never know what may be the hot item. Certainly, key issues will continue to rise and will probably rise at a higher rate than non-key issues. If you are truly set on buying rare coins as an investment and you cannot afford the high-end items then keys in some of the lower grades may be the way to go. What will be the next “hot” coin? Only time will tell and your guess is as good as mine. I suspect that with more and more interest in Lincolns, especially with the upcoming changes to the Lincoln Cent, there will be more demand for Lincoln Keys, but that is only a guess. Others to keep an eye on are the 1932 D and S quarters. The State Quarter program has created more interest in quarters. This is just pure speculation. As for me, I will just continue to buy the coins I like.